Football's world governing body Fifa has decided to postpone Saturday's Cameroon Football Federation (Fecafoot) polls until 28 February. Cameroon's minister of social security, Gregoire Owona, and sports and physical education minister Adoum Garoua travelled to Fifa headquarters in Switzerland to outline some concerns over the polls. Their main worry was over possible violence should the elections go ahead as planned after several potential candidates were deemed ineligible to stand. 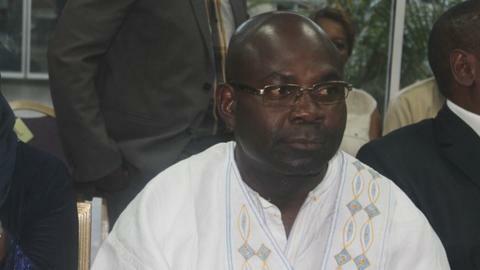 Concerns were also raised about some of the Fecafoot statutes used in the election process. Fifa says the polls should be held in line with the statutes adopted in August 2014 and with the six candidates who registered on 10 November - no further entrants should be considered. Tombi A Roko Sidiki, the current secretary general of the normalisation committee, had been set to be elected unopposed as the new president of Fecafoot. He will now contest February's polls against the five people who registered on 10 November. Initially the other candidates were deemed to have failed to submit the necessary correct paperwork by a 26 November deadline to be considered eligible. In July 2013 a Fifa-approved normalisation committee headed by former Minister of Education and Sports, Joseph Owona, stepped in to run football in Cameroon after the country was briefly banned from world football for governmental interference. In March football's world governing body extended the mandate of the normalisation committee until 30 November. The problems for Fecafoot began in June 2013 when Iya Mohammed was re-elected as president, despite being detained by the Cameroon authorities for alleged financial mismanagement of the state-owned cotton company. Those polls were then cancelled by Fecafoot's own appeals committee, after complaints from the losing candidates. The global suspension then followed when Fifa ruled that Fecafoot vice-president and former transport minister John Begheni Ndeh had forcibly installed himself as president on 28 June. Owona was then installed to oversee the normalisation committee and plan for Saturday's elections.